You all know what I’m talking about when I say crash dieting. It’s different from all the other dieting you do (that I’m also not a fan of) to lose weight on a consistent basis. 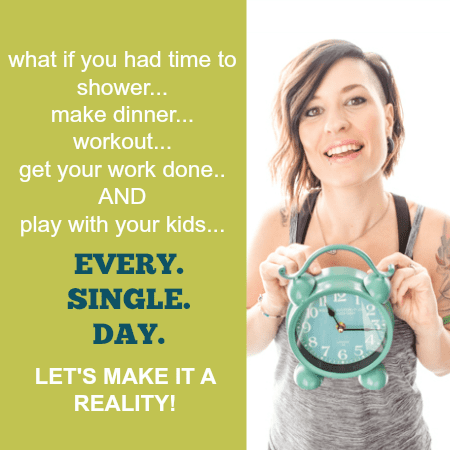 Crash dieting looks more like this: You’re sitting at your desk, drinking your morning coffee, going through your calendar for the week, and all of a sudden you see it… “Saturday: Dinner with the Jones’s @ 7pm.” You had completely forgotten! This wouldn’t normally be a problem, but your husband’s best friend Dave Jones has the fittest wife in the neighborhood, and you feel like a large cow sitting next to her lettuce-eating, ab-crunching, yoga-instructing self. So that’s it. The decision is made. You won’t eat anything but salads all week long. You’ll skip breakfast. You’ll run at least 60 minutes each day and maybe even try to make a gym class in the evening, just for good measure. Nothing to drink but water and black coffee. You’ve just got to drop a few pounds. That’ll do the trick! How familiar does this look to you? There’s always something, right? Whether it’s dinner with friends, a night out on the town, date night with your spouse, BBQs and pool parties, reunions, conferences, etc etc. There’s always something that you wish you were thinner/prettier/fitter/tanner for. So you crash diet for the days leading up to the event. How exhausting is this behavior? It’s extremely exhausting for me to even write about it because I was there so many times. Saturday night out with friends always meant no eating from Friday night until at least Sunday morning. (that’s real healthy when alcohol is involved………..) It’s exhausting. It’s not healthy. It screws with your metabolism. It’s makes you tired, cranky, and irritable. And one of the biggest annoyances is about crash dieting is this…. weight loss from crash dieting is TEMPORARY! As soon as you are done with your event, for one you’ll probably end up bingeing on all the foods you didn’t allow yourself the weeks or days prior. And then once the binge is over, you’ll just go back to eating and living the way you were before. All the weight will come back. All your unhealthy habits that got you to where you were in the first place will be back. It is all 100% temporary. 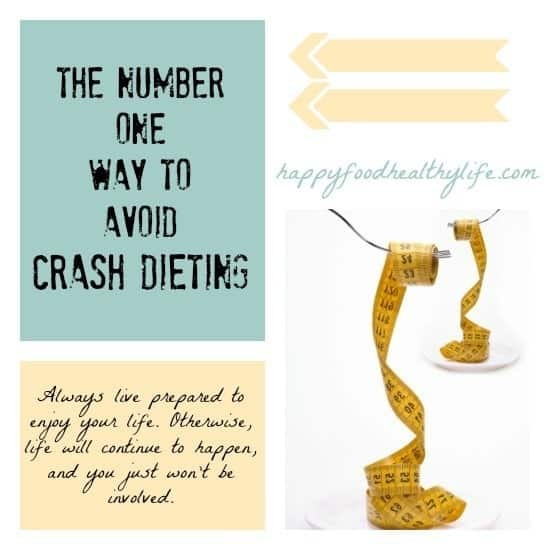 I have for you the NUMBER ONE way to avoid crash dieting! It can get rid of all these painful and exhausting struggles every time an event comes around. You’re going to be shocked at how simple this solution is. That’s right. Always look your best. Always be ready for the next event. There’s always going to be something that you’re going to want to look your best for. You’re probably thinking: “so you want me to just eat salad and workout like a mad woman ALL the time?” Absolutely not! But I do want you to live a lifestyle where you are consistently active and making healthy food choices. There is no need why you should have to go on a crash diet as long as you are generally making healthy decisions in your life. It will be different for everyone. For me to be happy and “ready for any occasion”, I try to work out 4-5 times a week, eat 4-5 small meals/snacks a day, and only have minimal snacking & treats in between. Do I feel deprived? No way! When I do indulge, I try to ensure it’s something of quality. My favorite little treat for my sweet tooth has been a small square of dark chocolate and a glass of wine after dinner. That is exactly enough for me to feel satisfied and not freak out about the calories or any damage I may have done. Your “plan” may look different. You may work out once a week and eat a super clean Paleo diet if that’s what you’re into. Or you may do Insanity 6 times a week and choose to eat whatever you feel like. What it all comes down to is how you feel! If someone sprung plans on you for THIS evening, would you feel ready for them? Or would you feel like you couldn’t eat the rest of the day? Live your life in a way that you will always feel ready to live your absolute best life. You want to be able to enjoy your life, right? You want to be able to be spontaneous and able to go out with friends when the occasion arises, right? What is one way you can start living prepared for any event in your life? I’m getting there! I went all week without dessert after dinner, a huge accomplishment. I’m allowing it on Friday/Saturday since it’s the weekend, but I liked how I felt avoiding it at night! 🙂 Thanks for the inspiration Holly! That is so great dorothy. Its usually that first few weeks that are hard. It only takes 21 days to make a habit stick. Don’t worry so much about diet. Eat only when you’re hungry and only until you feel satiated (not full). Eat what makes you happy. Eat what you know your body needs. Remember everything in moderation. Truly listen to your body and its signals. One thing at a time… I started with exercise too, and it took me awhile to get a hold of the food stuff, but it eventually fell into place. Believe in yourself!